Our "new" blog officially turned one last month. It may seem silly to acknowledge it, but I really like to celebrate the big and small accomplishments. I started my first blog years ago and tried to keep up with it once a month. Since June, I made a commitment this time to blog once a week and I'm happy to say that I managed to keep up with it. I may have missed one week. I'm ok with that because nothing is "perfect". It take a great amount of dedication to get a blog post out once a week, with lots of late nights researching and writing. So, let's pop the champagne and celebrate this win. Thank you to each of you who read, follow, comment and show support. It means so much to me. It's such a nostalgic feeling looking back at our past posts. 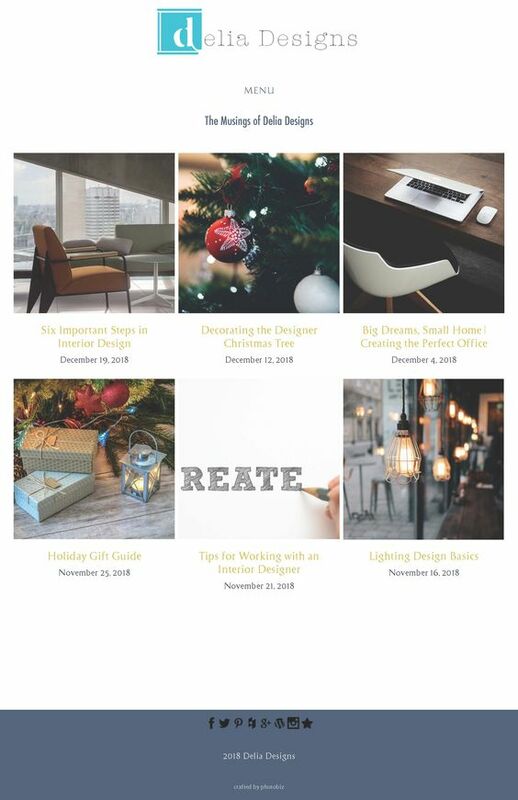 Throughout the year, we posted lots of diverse posts with varying points of view regarding Interior Design. We touched on Hospitality Design, Residential Design, Commercial Design and Interior design tips. This summer we had Julia Abriola, our Design Intern take over the blog as she was back in Philadelphia for the Summer. Her fresh take on Interior Design was well received by all of our readers. We have some exciting things planned for next year and we can't wait to share them with you. I fully believe in creating your own destiny and putting out in the world what you want. So there you have it. Year two of the blog has the possibility to be a very exciting and big year. I can't thank you enough for all of your support this past year. Thank you for reading and following along. I promise to toast a glass of champagne to all of you tonight. Tina Delia, a native of Ocean County, NJ, current resident of Philadelphia, is the Founder and Principal Interior Designer of Delia Designs. For the past nine years, Tina has been steadfast in her vision and continues to develop herself personally and professionally. She is dedicated to excellence and insistence on forward thinking design. At the forefront of her designs is the idea that our spaces have the ability to transform our lives. She is looking to move us, inspire us to see, think and create freely. After all, it's not only about creating beautiful spaces.